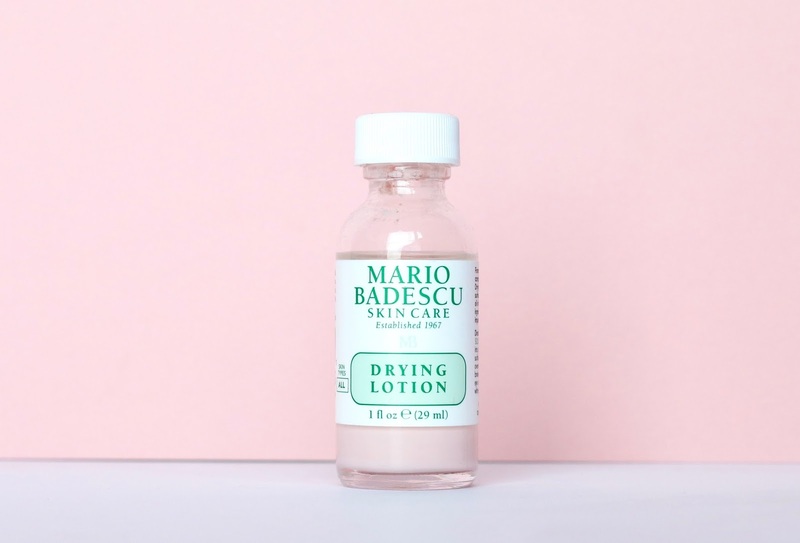 You’ve probably heard about the Mario Badescu Drying Lotion from YouTube, reviews, or maybe your friend told you about the miracle drying lotion that gets hid of your spots overnight. Well, let me give you my thoughts in this honest review. Did I find it to be a miracle worker? In short, the answer is not as black and white as a ‘yes’ or a ‘no’, but allow me to explain why. The first time I tried this lotion I had a very annoying spot near my lip. It was small, but every time I smiled or overly stretched my lip it would make itself known – like ‘hello I’m going to cause you some pinches of pain just because I can’. I applied the lotion in the evening a bit before going to bed so it had time to dry – which is does very quickly. The next morning I washed my face as normal and noticed that the top of the spot had become hard, almost like a scab. Because of this, and because I don’t like scabs I decided to remove it with tweezers – please do not do this unless you know how your skin will react. I do not recommend this method, but I did it because I wanted to see what happened to the spot. After removing it I found that the ‘scab’ was not a scab at all. Instead it was the spot that had hardened, and what was left was a spot free patch of skin. I was amazed! There is actually a product that was worth every ounce of it’s hype. Does it work for all spots? No. The spots that it worked on for me – which might be different for you – were ones that had a visible yellow/white head. However it doesn’t always work how it did the first time I used it. I think that was just for small spots. Bigger spots however took multiple applications, but with some of them it didn’t do much at all. Maybe it was the type of spot, or maybe the spot just had it out for me. Whatever it was, the lotion didn’t work on those occasions. However, I did notice that applying the drying lotion onto spots that had come up but didn’t have a visible head yet, overnight they either decreased in size or were not as aggressively red as they had been the previous day. This was definitely not due to a change in my skincare as I have not changed it for months. If you wish to know what skincare I use you can check out my minimal skincare routine and my evening routine. Overall, I do really like the Mario Badescu drying lotion, but for me it does not always perform the spot disappearing act. However I would still highly recommend trying it for anyone who gets those annoying spots that don’t seem to want to go as the lotion helps to dry out the spots and make them go away quicker than other methods I have tried. You can purchase it for £14 here. 1. Firstly, it should be noted that you should not put this lotion on broken skin. If you scratched a spot by accident then leave the spot to heal until trying the lotion. Sadly I can’t tell you how long to leave it for because healing time is different from person to person, but if in doubt apply some tea tree on the spot instead of the lotion. 2. Secondly the lotion should not be shaken up. You need to have clear liquid at the top with the pink sediment-like product at the bottom so when you use a cotton bud you can dab it into the pink solution at the bottom and apply this to your spots. Obviously if you order this product online it will be shaken up and appear to be a consistent pink liquid, but leave it for a hour and it will separate and be ready to use. 3. Try and sleep so you won’t rub the product off on your pillowcase. This is easier said then done sometimes, but try and sleep on your back so the lotion can do it’s work. Have you tried this product? Let me know your thoughts in the comments below! Thank you for saying that! I try to be very honest with my reviews, so I'm so happy that it came across.